Without question in my mind, the most stellar Vermont songwriting of the last decade has emerged from the bedrooms and studios of Brattleboro. The beatnik bards Ruth Garbus, Chris Weisman, the Lentils and Zack Phillips drew curious hordes of internet eyes to the small town with their mildly Dickensian, cosmically aware folk music. Bella Ortiz-Wren is the next great Brattleboro bedroom talent to be recognized. Wild Rose, Ortiz-Wren's recent self-released full-length, is a true expression of individuality. Each component of the album was created by Ortiz-Wren. Writing, recording, mixing and distributing as a solo artist is quite an impressive feat — even more so when mastery of each form is demonstrated. On Wild Rose, gritty and intricate guitar melodies dance between warm and sunny chords, sometimes interspersed with a flutter of keyboard notes or the breath of a harmonica. Ortiz-Wren's rich alto is confident and expressive, instrumentation and voice move together as if conceived by inner conversation. There are likenesses to Devendra Banhart's early acoustic pieces. The songs are lo-fi, yet gracefully balanced and absorb smoothly. Bessie the cat is credited for mewing on "Lucy, Bessie," a sweet and comforting texture within the track. The recording quality of Bella's bedroom reverb is warm as a winter's blanket, resonating and radiating, contained by four walls amidst the Southern Vermont wilds. 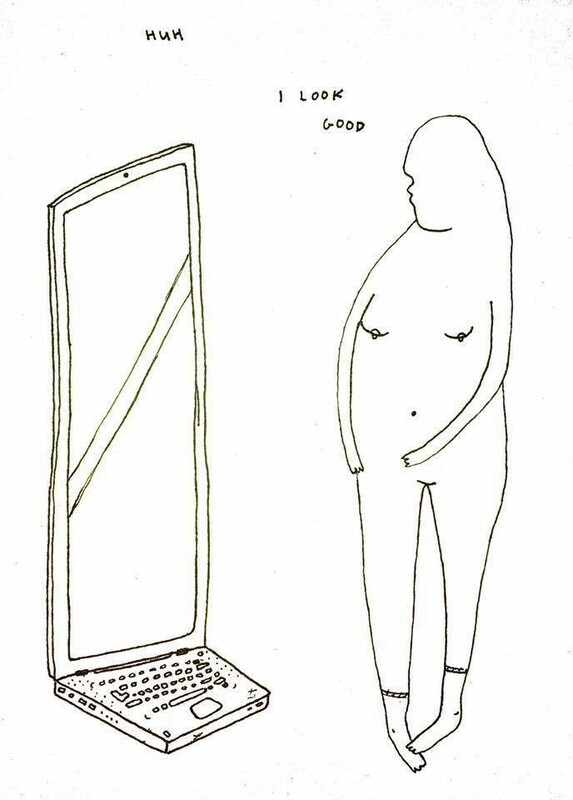 An illustration by Ortiz-Wren depicts an androgynous form gazing into a laptop that has morphed into a full-length mirror. The body declares "Huh, I look good." The image speaks volumes about the lyrical content of Wild Rose. Bella gazes inward, examining their queerness and multiracial identity, their whole self, and loves every cell of their being for its uniqueness. 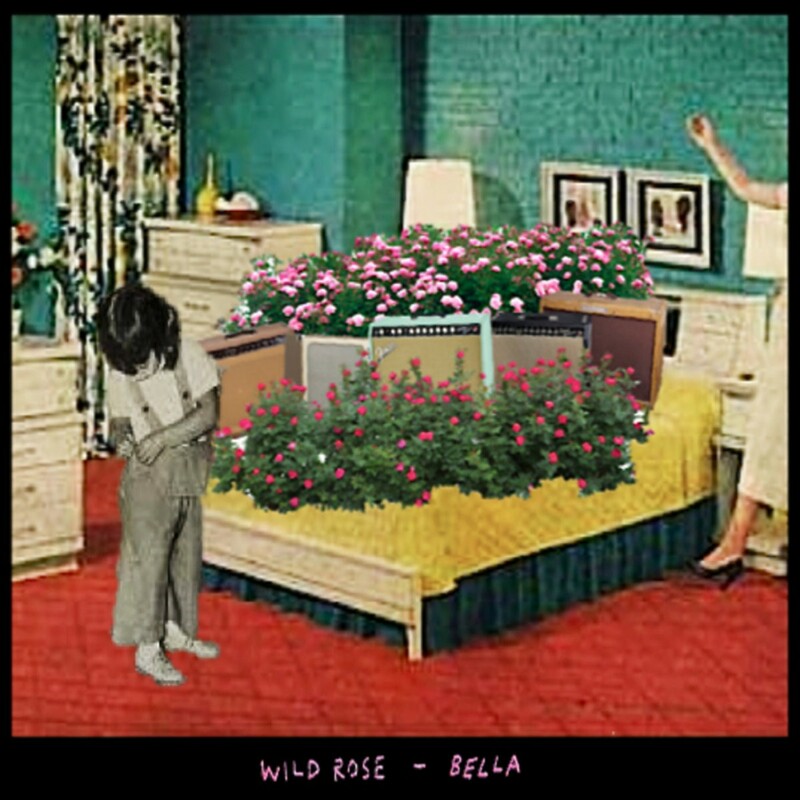 You can stream Bella's Wild Rose via Bandcamp, and if you choose to purchase it today (Friday, August 4), Bandcamp will donate 100% of their profit to the Transgender Law Center.